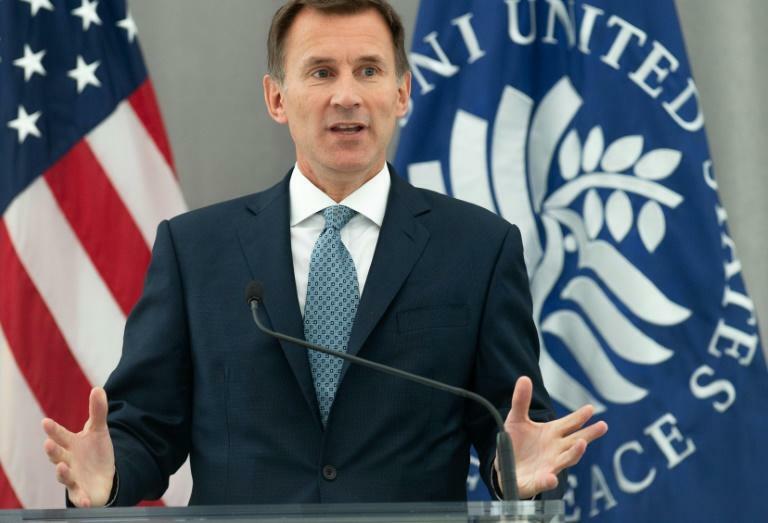 Britain's new Foreign Secretary Jeremy Hunt on Tuesday urged the United States and European countries to do more to call out Russia's "malign behavior" and keep Vladimir Putin in check, notably by implementing tough sanctions. "The established rules of international conduct are repeatedly being flouted by major countries like Russia," Hunt said in Washington, in his first major policy speech since succeeding Boris Johnson in July. London has blamed Moscow for the March poisoning in southwestern England of former Russian double agent Sergei Skripal and his daughter Yulia -- using a Soviet-made nerve agent -- plunging the two countries into a diplomatic crisis. "Such aggressive and malign behavior undermines the international order that keeps us safe," Hunt told an audience at the US Institute of Peace, a nonpartisan think tank. He added that, while engagement with Moscow remains vital, Russia's foreign policy under Putin has made the world "a more dangerous place." A number of Western countries have punished Moscow by expelling Russian diplomats in a coordinated manner. Some have gone further, with other punitive measures. Those come on top on sanctions already in place over Russia's annexation of Crimea or Moscow's interference in foreign elections, notably in the 2016 presidential vote in the United States. Hunt, who is to meet Wednesday with US Secretary of State Mike Pompeo, asked London's allies to take additional action. "The United Kingdom asks its allies to go further by calling on the European Union to ensure its sanctions against Russia are comprehensive, and that we truly stand shoulder to shoulder with the US," Hunt said. "That means calling out and responding to transgressions with one voice whenever and wherever they occur, from the streets of Salisbury to the fate of Crimea." 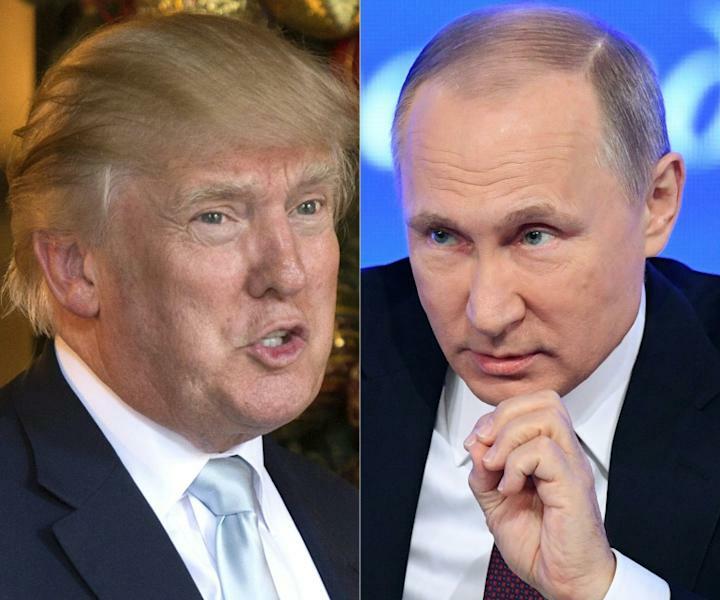 President Donald Trump's administration has been firm with Moscow, regularly announcing new sanctions over the Skripal case, but that message is often muddied by the American leader's eagerness to improve ties with Putin. At his July summit with the Russian leader in Helsinki, Trump appeared conciliatory towards his counterpart and failed to call him out over Moscow's alleged subversion of the 2016 presidential election, shortly after blasting allies at a NATO summit in Brussels. That earned the president widespread criticism at home, even angering many in his own Republican Party. For Hunt, NATO's "credibility" has taken a hit. "Those who do not share our values need to know that there will always be a serious price to pay if red lines are crossed -- whether territorial incursions, the use of banned weapons or, increasingly, cyber attacks," he warned. Hunt also sought to carry a tough message to Europe on Brexit, warning that a no-deal departure could threaten the continent's unity for a generation. "One of the biggest threats to European unity would be a chaotic no-deal Brexit," he said. Hunt, who replaced Johnson last month amid discord over how London should handle Brexit, said Britain would manage -- "we have faced many greater challenges in our history" -- but the European Union would suffer a serious blow. "The risk of a messy divorce ... would be a fissure in relations between European allies that would take a generation to heal -- a geostrategic error for Europe at an extremely vulnerable time in our history," he said. A deal on Britain's divorce from the bloc -- which both sides want to strike by late October, with an eye towards a formal separation on March 29, 2019 -- is still up in the air, with Brussels sticking to its own red lines.